A melting pot of cultures, Singapore is an impressive and unique experience. Arriving at the Marina Bay Sands is an experience in itself—the light-filled lobby is in the center of the towering structure and feels like it never ends. The hotel is beautiful, rooms are nice and the service amazing, but of course the highlight is the rooftop. 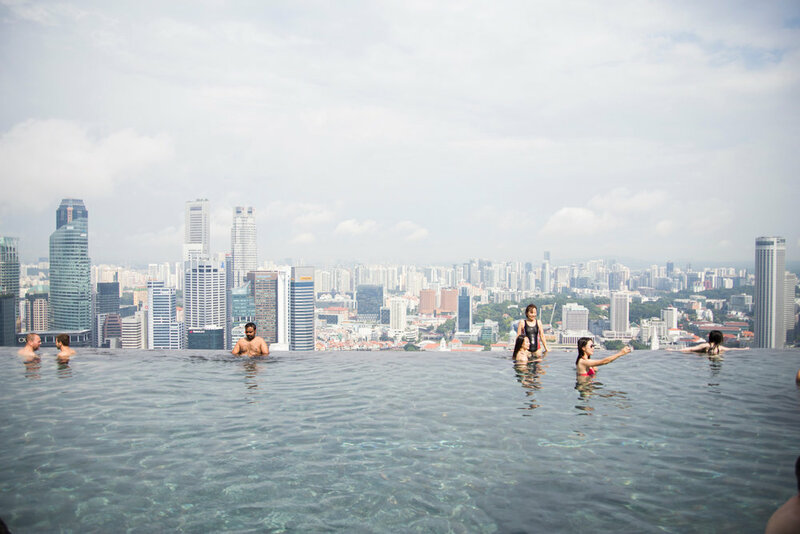 Peering over the city, the infinity pool makes you feel like you could just roll over the edge and into the bay below. On one side, the view of the skyline and the harbor seem to surround you. 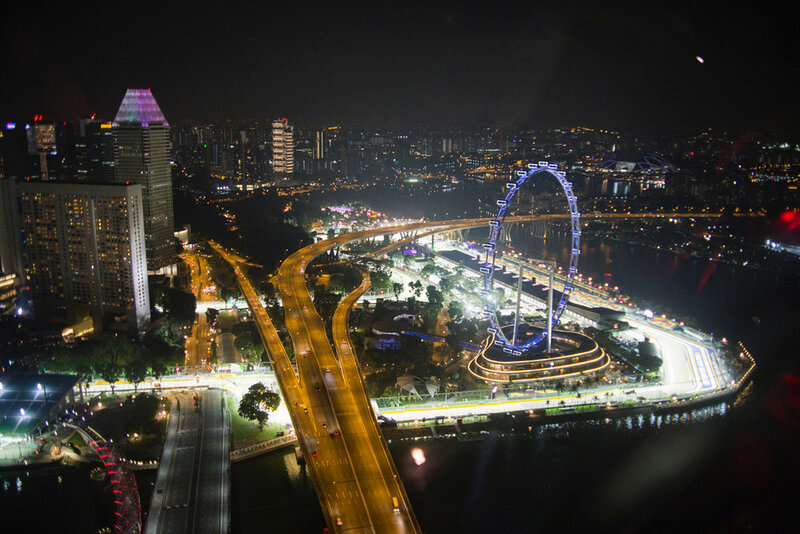 The Marina Bay Street Circuit twists it’s way through the streets below. 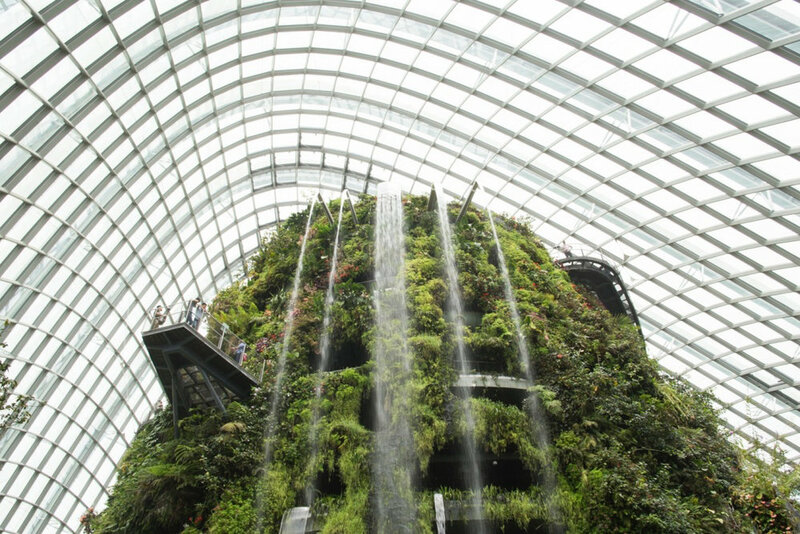 On the other side is a view of the lush Gardens by the Bay and the space ship-like buildings that function as huge greenhouses. Our visit was most singularly to attend an event (Formula1 race!) and while we didn’t get to experience the breadth of what Singapore has to offer, the small part we did was an unforgettable experience.